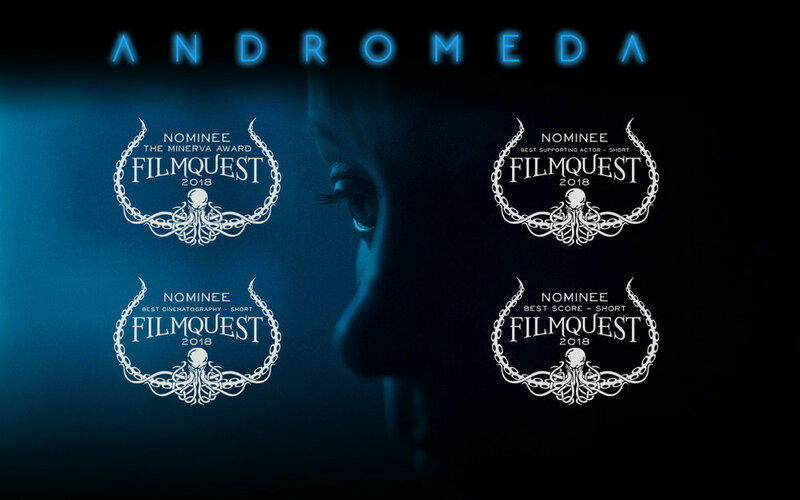 So excited to announce that ANDROMEDA is NOMINATED FOR 4 AWARDS at FILMQUEST! THE MINERVA AWARD FOR FEMALE GENRE FILMMAKER, BEST SUPPORTING ACTOR to AARON GLENANE, BEST CINEMATOGRAPHY and BEST SCORE! Thank you FilmQuest! Congrats to all the nominees!! !